The 2018 NLL expansion draft was held on Monday. This was the first expansion draft in ten years so it was kind of new for many fans, but get used to it. This was also the first of at least three over the next few years as the league continues to expand. There were lots of predictions about what would happen in this draft; off the top of my head, I can think of at least three full mock drafts that were done, and there were probably more. I made my own predictions back in May and got 6 right out of 18 picks, but in my defense I made my choices before the protected lists were announced by the teams. If I’d redone my predictions afterwards, I wouldn’t have predicted Curtis Knight or Eric Fannell to be chosen since they were protected, and I would have predicted Brett Hickey, Josh Currier, and Adrian Sorichetti since they weren’t. That second one is interesting – I reasoned on Twitter that the Wings wanted Chase Fraser and the Bandits offered them Reid if they didn’t pick Fraser. This was confirmed. Before the draft, NLL VP Brian Lemon announced the rules, most of which we already knew. He also said that each team would have two minutes to make their picks, and each could ask for one five-minute extension. But not one of the eighteen picks took as long as it took Lemon to read that rule. The draft was done so quickly that it was very unlikely that it was actually done live. It was probably done earlier in the day and the live stream was just the announcement of who was drafted, and they went back and forth to make it look like a live draft. But when you look at the players that were drafted and where they came from, there’s even more to it than that. All of the players available from western teams went to San Diego, and all players from eastern teams except Turner Evans went to Philly. Even more telling was the order in which they were announced: Toronto’s two players went first, one to Philly and one to San Diego. Then Philly’s next two picks were from Georgia and San Diego’s were from Saskatchewan. Then Philly took two from Rochester while the Seals took two from Colorado, then New England / Calgary, then Buffalo / Vancouver. Other than Toronto, each team’s two players were chosen in back-to-back picks by the same team, and the players from each division were chosen in the order their teams finished the 2018 regular season. It seems likely that rather than an actual draft, the two GMs talked and together made up the lists of who gets who. The actual broadcast was them just announcing the results. Maybe they did the draft as intended, earlier in the day, then made some trades among themselves and decided to just skip announcing that part. If that’s the case, I’m OK with it. This is the NLL, so where a player lives very much matters with respect to where he wants to play. Some of the younger guys may not care and are happy to move around the country if they get traded. But there are lots of veteran players who have families and full-time jobs and are far more interested in playing half their games close to home. It makes total sense that the western players were picked by the western team and the eastern players were picked by the eastern team. That said, if this is indeed how it was done, I’m a little annoyed that they dressed it up like a real draft. If the GMs got together and divided up the available players among them, following the two-players-per-team rule, why not just announce it that way? Given the quality of players available in this draft, it’s no surprise that both teams look pretty good to start with. The Wings have more firepower (Hickey, Matisz, Hall, Harris) while the Seals already have a strong defense (Mydske, Holding, Schott) and transition (MacIntosh, Sorichetti). If I had to pick a winner between the two teams, I’m not sure I could. Both teams surprisingly picked players with zero NLL experience, Matt Rambo from New England heading to Philly (where he lives) and Brendan Ranford from Vancouver was picked by San Diego. Rambo is a field lacrosse star who was drafted by the Black Wolves last year but didn’t report. I have no idea if he even has any interest in the NLL; maybe he and Paul Rabil watch NLL games online together, saying “I could totally play there if I wanted to.” Ranford is a top prospect from BC but also plays pro hockey, and there was talk that he may play hockey in Europe next season. Perhaps that isn’t the case, or perhaps Patrick Merrill just decided to take a gamble anyway. Only one UFA was chosen: Brett Mydske from the Rush. Merrill said that Mydske was just too good an option to pass up, and that’s hard to argue. Hopefully (for the Seals), they can sign Mydske to a contract before August 1st, at which time he’s free to sign with whoever he wants. They could also give him the franchise tag, which would prevent him from signing anywhere else but would also guarantee him 10% above the NLL’s maximum salary. Not a bad decision for Mydske to have: play in sunny San Diego and make max bucks, or choose which city you want to play in. Philadelphia made a bit of a surprising pick for their goaltender: Davide DiRuscio, who’s been the Bandits backup goalie for a few years though he was injured all of last year. It was widely assumed that the two goalies picked in the draft were likely to be Frank Scigliano and one of Zach Higgins or Alex Buque, but we all picked the wrong Bandits goalie. In previous years DiRuscio has shown signs that he could someday be a starting goalie in the NLL, but has been inconsistent. He’s a big guy and only 26 and while it seems that forwards and defenders tend to peak around 27-28 years old, it can take goalies (those not named Christian, anyway) a couple of extra years to hit their stride. He may not be the next Dallas Eliuk next season but as an expansion team, the Wings are likely to be willing to wait a year or two. Each team lost two players from their roster, but some teams lost fewer than others. As mentioned, two players had never played an NLL game so from that point of view, New England and Vancouver got away a little easier than the other teams. The other guy Vancouver lost, Casey Jackson, has only played four games in the NLL so while he has a big upside for the future, the Vancouver team as it was yesterday is almost unchanged. Buffalo left three goalies unprotected and lost the one that’s recovering from injury. This may or may not be good news for the Bandits, as their goaltender situation was a little dicey last season and that hasn’t changed. They also lost defenders Ethan Schott and Zac Reid but gained another defender Bryce Sweeting. Colorado lost Sweeting and Holding but Holding didn’t play last season anyway, and they’ll be getting Dan Coates back next year, so they’re probably OK. The teams that lost the most, in my opinion, are the Georgia Swarm and the Rochester Knighthawks. It’s not as though losing Matisz and Hall leaves the Swarm with no strong forwards, but they will be two tough players to replace. Both are versatile and can play forward or transition roles. As I mentioned in my expansion draft predictions article, Hall would be a good candidate for captain of the Wings, but Matisz has been around for a while too and it wouldn’t surprise me to see an A on his chest next season. The Knighthawks lost Josh Currier, which was a certainty once it was discovered that he was unprotected, and Frank Brown, a defender (though listed as a forward in the Wings draft results article) with a ton of potential. Brown also played half of last year with the Swarm, so he has some familiarity with Matisz and Hall. Now that the draft is over, I believe the rosters are now “unfrozen”, so teams are free to begin making trades once again. On August 1st, teams will be able to start signing free agents as well, and of course Philadelphia and San Diego will be busy there. They do have players now, but they each have less than half a team. 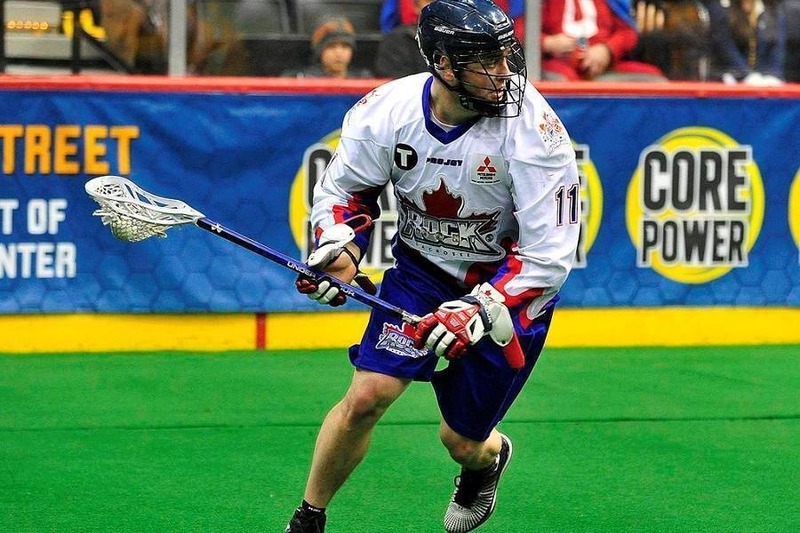 It’s already been one of the most active off-seasons the NLL has seen in years and it ain’t over yet. 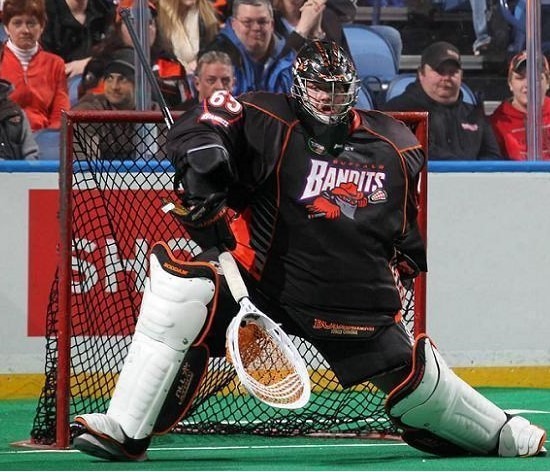 This entry was posted in Buffalo Bandits, Calgary Roughnecks, Colorado Mammoth, Georgia Swarm, New England Black Wolves, Philadelphia Wings, Rochester Knighthawks, San Diego Seals, Saskatchewan Rush, Toronto Rock, Vancouver Stealth. Bookmark the permalink. Hey! Loving the blog. I’m trying to get back into the NLL after following the Albany Attack as a kid. Is there someplace online that I can watch all the games from last season for free? YouTube only seems to have a couple of full games. Hey! Loving the blog. I’m trying to get back into the NLL after following the Albany Attack as a kid. Is there someplace online I can watch all of the games from last season for free? It looks like YouTube only has a few full games. Hey, thanks for reading, and welcome back to the family of NLL fans! If you go to nlltv.com, all games from the last couple of seasons can be viewed for free as well as highlights and lots of other content. During the regular season the games are available for free about 24 hours after the game ends. If you want to watch live, you need an NLL TV subscription which is about $40 for the whole season. Awesome! Thank you. Great work on the podcast too. I only wish you kept it going year-round.